Robert Ross Hook, Jr., 80, of Pleasant Hill, was born, September 18, 1937, in Pleasant Hill, the son of Robert R. and Myrtle N. (Burge) Hook, Sr. He departed this life, Friday, March 30, 2018, at his home. 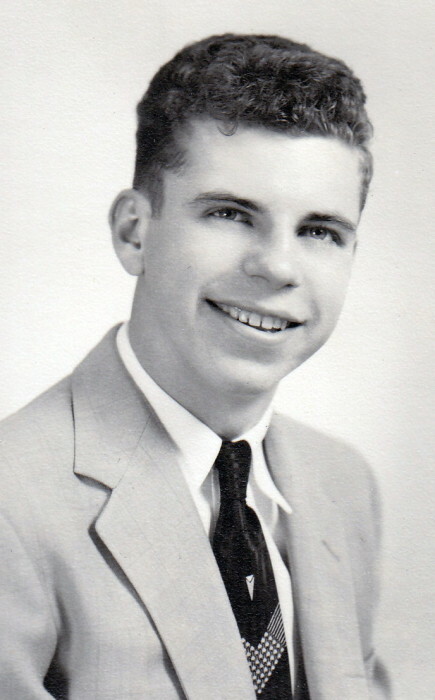 Bob was a 1955 Pleasant Hill High School graduate. Following high school he proudly served in the United States Army Reserve. On February 23, 1957, he was united in marriage to Phyllis Jean Reid, at the old Episcopal Church in Pleasant Hill. She survives. Bob was also survived by three children, Michael Ross Hook of Peculiar, Melissa Jeanne Hook-Coburn of Pleasant Hill, and Paul Franklin (and Kimberly) Hook of Pleasant Hill; five grandchildren Amanda (and Tony) Ledington of Harrisonville; Ariel Coburn and Austin Coburn, both of North Kansas City, Angeleena Hook and Arwen Hook, both of Pleasant Hill; two great grandchildren, Brody Ledington and Benny Ledington; other relatives and friends. He was preceded in death by his sister, Judy Hook. Bob was a gifted auto body repairman. He owned and operated Hook’s Auto Body Shop in Pleasant Hill for several years. He has also been employed at Western Electric, Dale’s Used Car Lot, and O’Reilly’s. He was meticulous in all his work. He was an avid golfer and had met both Tom Watson and Arnold Palmer while golfing. He also enjoyed racing and met Paul Newman and Tom cruise while at the Indy 500. He loved to travel, go to car shows and he was a great story teller. Funeral services were held Thursday, April 5, 2018, at the funeral home. Reverend D. Kent Deubner officiated. Fully military honors were conducted by the United States Army National Guard and the Harrisonville VFW and American Legion Honor guards. Cremation was accorded following the service. Memorial contributions are suggested to First Presbyterian Church and may be sent in care of the funeral home.